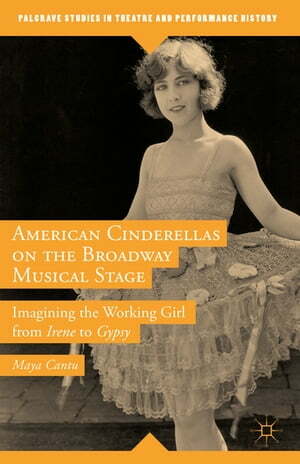 Collins Booksellers - American Cinderellas on the Broadway Musical Stage by Dr. Maya Cantu, 9781137534606. Buy this book online. Drawing upon Broadway musicals ranging from Irene (1919) to Gypsy (1959), American Cinderellas on the Broadway Musical Stage considers how Broadway musicals from the 1920s through the 1950s adapted and transformed Perrault's fairy tale icon in order to address changing social and professional roles for American women. Drawing heavily upon historical research in American culture and gender studies, Cantu analyzes female lyricists and librettists who were significant in translating Perrault's heroine to the contexts and concerns of the American "working girl." In exploring how these and other writers (of both sexes) adapted the Cinderella myth to a twentieth-century urban landscape, this book challenges traditional assumptions about the American musical's relationship to both feminism and modernism - placing the Cinderella story into the Broadway musical canon.